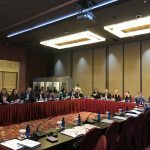 The follow-up Risk Management workshop was organized on February 13-15, 2019 in Budva, Montenegro. 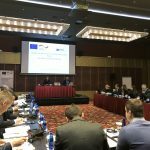 The main purpose of the workshop was for the CEFTA Parties to validate the risk profiles developed since the last technical workshop held in Skopje during the month of October 2018. Twenty-six (26) Risk Profiles were produced based on a CEFTA Risk Profile Format agreed among all the parties. The risk profiles have been designed based on a combination of international best practices in the area of risk management, the input from EU risk profile structure and the feedback from all the participants. 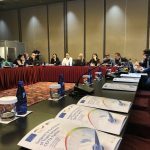 Additionally, the definition of goals for the profiles as well as the next steps for the pilot program and final evaluation of the profiles were shared with CEFTA parties during the workshop. The commitment and engagement from all CEFTA parties has been vital in the creation of more profiles than the twenty originally planned. 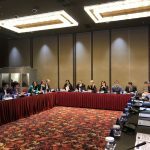 The parties have agreed that the pilot program commences on April 1 and lasts until June 20, 2019. A final RM workshop will be held in the last week of June in order to evaluate the pilot program and determine the next steps in RM area.